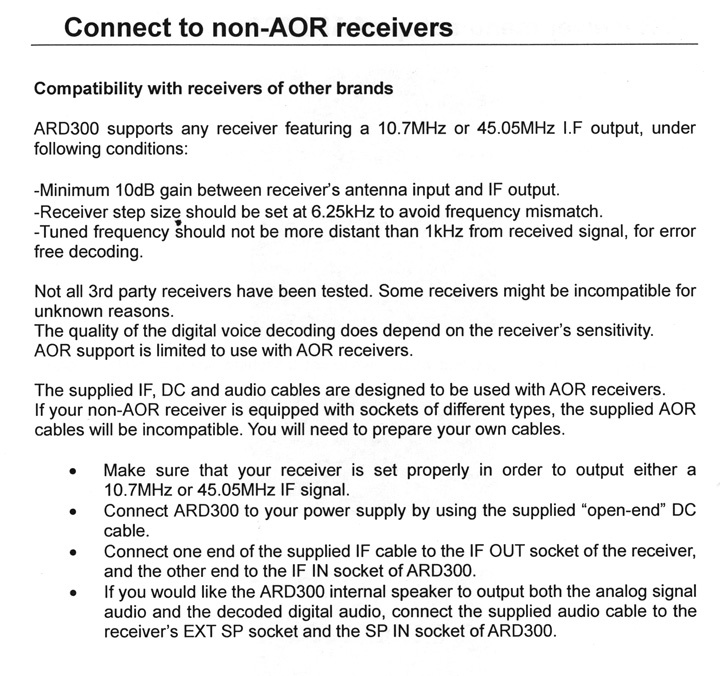 The AOR ARD300 is a digital decoder that will bring the world of digital modes to your wideband receiver. 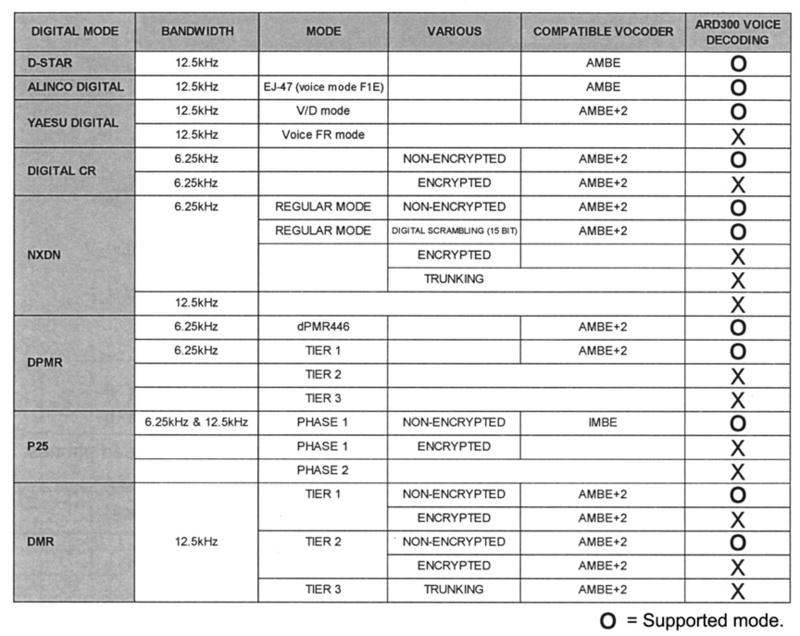 It decodes many amateur digital voice modes such as those used by Icom, Alinco, Kenwood and Yaesu. It also decodes APCO P25 and DMR voice signals used by many governments worldwide. The front panel features an 8 character, two-line display. 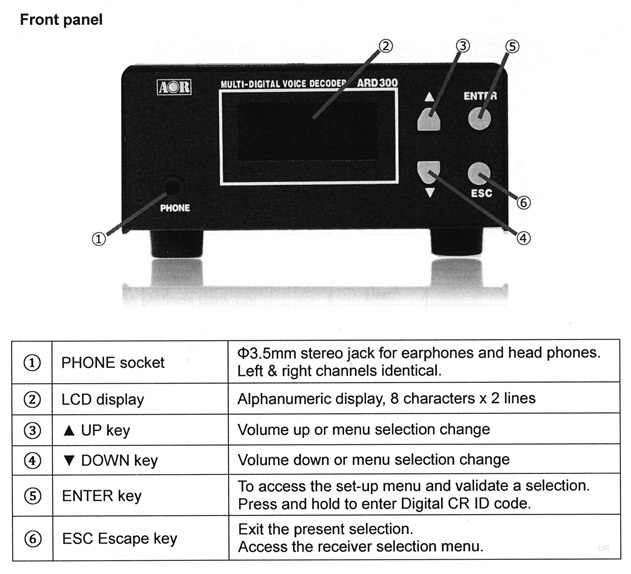 Audio output is provided to a ¼" headphone jack on the front panel and a speaker built into the top panel. The rear panel features the IF port [BNC], Audio In and Audio Out (mini), Service port (DB9 male), DC input and DC output. 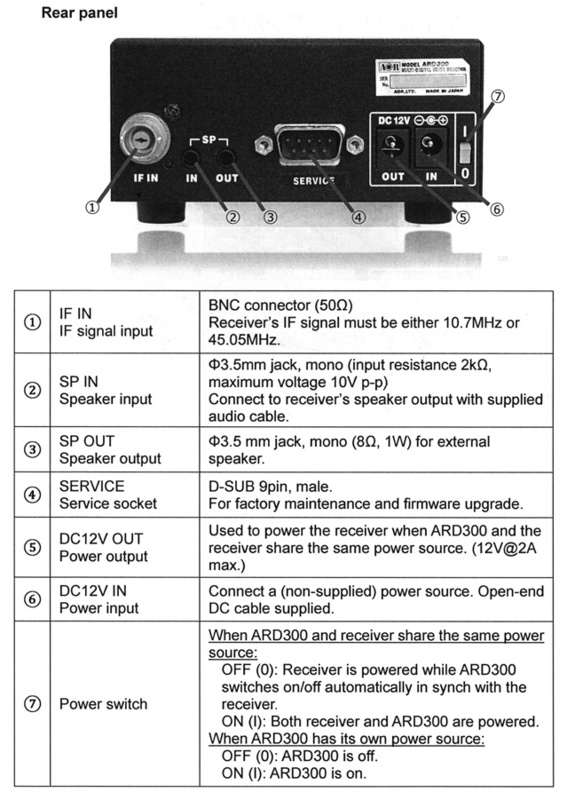 The ARD300 is compatible with the AR5001D, AR8600MkII, AR-ONE and certain other receivers that have either 10.7 MHz or 45.05 MHz output. This device requires 10.7-16 VDC @300 mA. 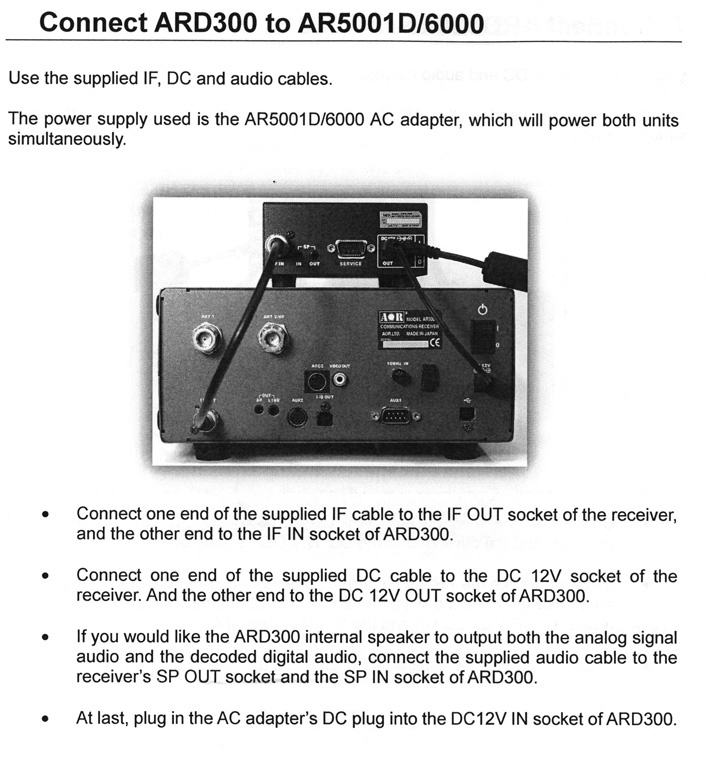 In some cases, such as the AR8600MkII and AR5001/6000 the ARD300 may be powered from receiver's power supply. Supplied with: DC power cables, BNC IF cable, audio cable and printed Owner's Manual. Please note that the modes covered by this device are primarily to be found on VHF-UHF frequencies. This is a special order, non-returnable item.